Style Help: How to get Parisian style with these 5 purses / bags | Save. Spend. Splurge. 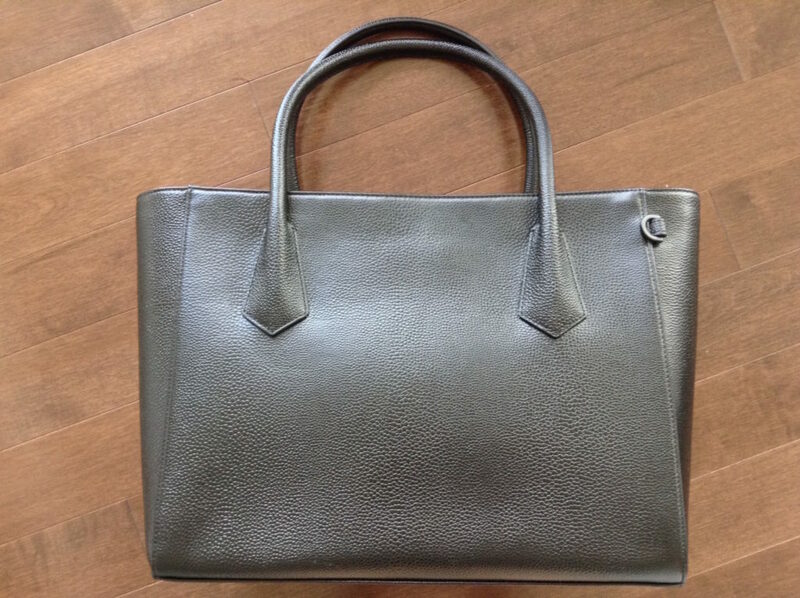 Over the shoulder or just held by the hand, a lot of like this Dagne Dover pictured above, is the perfect bag for the office that is logo free, understated and organized to carry everything. This is very much an office / meetings / ladies who lunch kind of bag, and if you don’t have any of those events in your life, forget about this bag and move on to something more suited to your life. Now “satchel” means a lot of things to people, and the #1 bag I see Parisiennes carry THE MOST is the Longchamp Pliage. Pictured above is the Longchamp Pliage Neo because it looks more stylish and elegant (plus a little more hardwearing due to its double-layer construction & fabric), than the standard Longchamp Pliages, but either will do. They use it as an everyday purse. They carry EVERYTHING in it, go shopping, to school, to work.. it’s a light, unassuming bag but because of the logo, it’s not some cheap everyday bag that won’t stand the test of time. From my own experience, my Pliages lasted for years until they were stolen. I didn’t want to replace it but I finally did, when I felt like I had a hole in my wardrobe from missing this very essential bag that is chic & lightweight. Again, unassuming, no logos, 60 EUR and hardwearing. 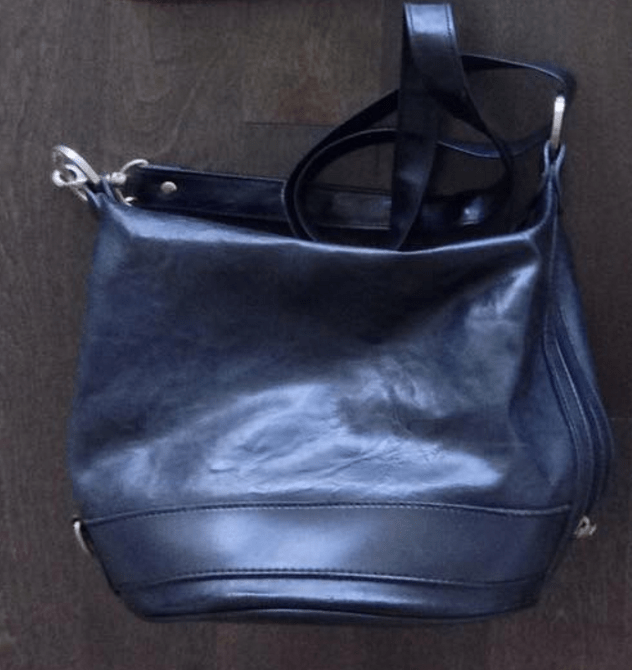 I have had this purse since 2009 and it remains one of the most beloved, most used purses in my purse wardrobe due to its classic look, shape and hardware. The leather has worn it down to the softness of a baby’s bottom and it is an excellent everyday bag. This is for women who don’t need two hands free to handle a free-range toddler, but I see this often, the large folded leather envelope clutch or a large envelope clutch. They tuck it under their arm and just go about their business. I also really think their leather folded envelopes look great like this one, this one or this one. If it’s large, it looks more chic than a too small one, just about the size of the one above looks great. This was a trendy bag for a while but I’ve seen girls tote it long before it became famous. Navy is a really unexpected neutral leather bag colour, but you can’t go wrong with black or cognac.. or any shade of brown, really. I managed to score one in a thrift store for $7 but it might take some hunting before you find yours. 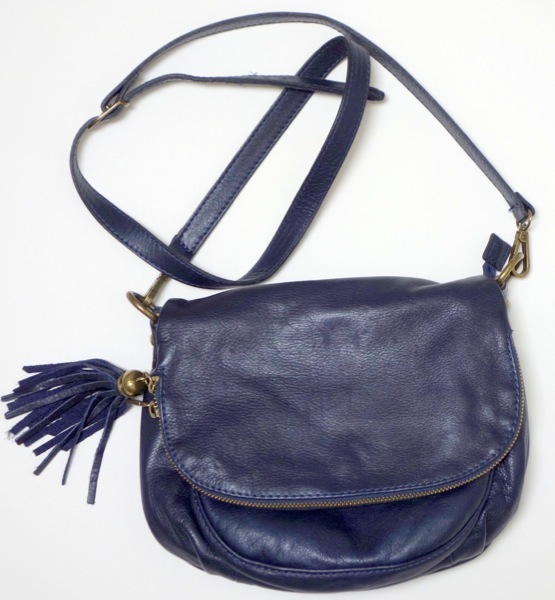 Another really simple purse that more Parisiennes carry is a small crossbody purse. It is small, I am talking smaller than what we North Americans are used to toting around, and it holds your wallet, keys and phone. That’s it. It looks fantastic to just carry when you’re out for a walk or for the day to go have brunch, or out with friends. Totally not on the theme of bags, but paying for quality and aesthetics. I’m lusting over the colour and fabric of a classic cashmere Burberry trench–only $2,850 US. Could you see yourself splurging on something like that or do you have price points? Just curious. I’ll do a post on this 🙂 stay tuned!